Heating and cooling systems in any building determine how comfortable that building is going to be. Whether in a home or business premises, you want to ensure that you get the correct HVAC system that satisfies your heating and cooling needs but will also conserve energy and save you money in the long run. 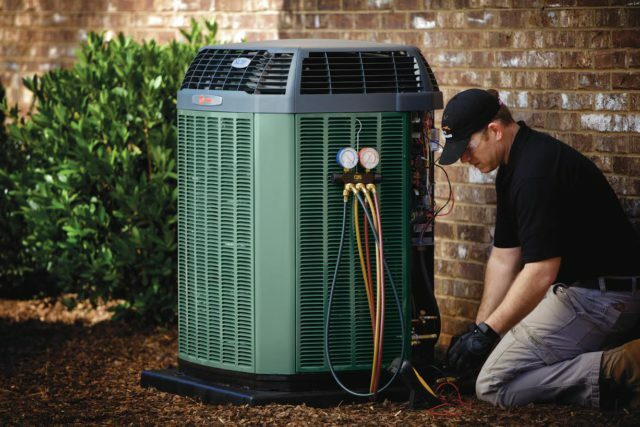 When most people are wanting to install a new HVAV or replace their HVAC system, they just call their general HVAC contractor and have them handle the entire process. Theirs will only be to make the final payment. Is this how you should really go about it or is there pertinent information you need to know? You do not want to get an inefficient HVAC system as this will prove costly in the long run. Can you believe that more than half of the average energy used for heating and cooling homes just goes to waste? This is our reality. This proves that your HVAC system could be very inefficient and you should look for means of making it more efficient while ensuring that it adequately meets all of your needs. When you are thinking efficiency, don’t just look at the energy usage. Also look at the latest options for HVAC systems (this will have been upgraded to ensure better efficiency), the cost of buying them, and how much it will cost you to operate one. At the end of the day, an efficient system does not only save money, it is also good for the environment. As already mentioned, most of us enlist the help of an HVAC contractor to assist us in choosing the right heating and cooling systems for our buildings. How can you go about choosing the right contractor who will give you the best possible services to cater to your needs? Requesting recommendations from people you know should put you on the right path. No one will recommend a contractor they do not trust and do not believe will give you a good deal. Sites such as Angie’s List also give you a good idea of how different contractors handle customers. Sites like this can tell you if you should expect any problems when dealing with them and whether they will handle any problems that arise during and after installation. Once you have access to more than one contractor, you can sift through them to find out the one best-suited to help you meet your heating and cooling needs. It would be reckless to buy an HVAC system without first doing your homework. Once you have a contractor, ensure that they do load calculations before installing an HVAC system for you. A manual J load calculation of your premises will ascertain which HVAC system size you need. Some contractors will try to cut corners, but if you know that they should first test your home or business for its energy needs, they will have no choice but to do so. You can also opt for another honest contractor who will do things the correct way. A good contractor will not just come in and install or replace your HVAC system without looking at other factors in the building that may affect how efficient your system is going to be. He/she will check the ductwork for any leaks and recommend what needs to be done. They will also teach you how to ensure that your system is running efficiently by checking the filters, using a thermostat to regulate energy usage and even considering a budget-billing program to help you monitor your energy needs across the year. Also, ensure that you get a warranty for your system and if possible, get a third-party testing of the final installation who will go over the system to ensure that it is operating efficiently and also check on the installation quality and practices checked. Lastly, before settling for any brand, read reviews on the product. This will give you an excellent idea of which systems to and not to buy.